Water buffalo and Concrete: VDOT, onward and upward! 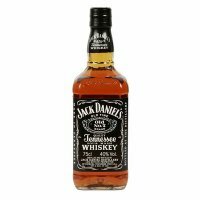 So, I've decided to run using Jack Daniels Running Formula, which is an excellent book, since it has a nice chart "VDOT values based on current race performance" from which you can calculate easy pace, tempo pace, marathon, interval pace, and rep pace, all based on current times over common distances, from the mile to the marathon. This is useful since it's common for people to run these paces either too fast or too slow, and either way can be harmful. In any case, my last 5K (done almost a year ago) was 19:47, right between VDOT 50 (19:57) and VDOT 51 (19:36). I erred on the side of caution, and have been doing workouts based on VDOT 50 for the past 2-3 months, but I think i'm ready to kick it up to 51, which I did this week with a 20 minute tempo at the prescribed pace, 4:11K/6:44mile. I'll keep doing workouts at 51 for at least a month, but ideally I'd like to work up to 52, which has a predicted marathon of 3:04:36 (ie...a hair below a BQ for me) or 53 (3:01: 39), or even 54 (2:58:47). The key in doing this is to do it gradually, and have the move upwards based on true comfort in paces and race results, not just a strong desire to move upwards. In that sense, I'm keen to see where my 5K on Sept. 1st will put me, as well as the Magic Mile that I have planned for early September. Hopefully they'll put me squarely in the 51-53 range.